Since recent event's in Paris, I'm so thankful to be home. I'd be lying if I said I wasn't missing the magic that is Disneyland. I'd originally planned to write a little travel diary and hope to write a post about each day we were away. We stayed at the Santa Fe hotel for 5 nights, we spent majority of our time on sight at Disneyland and spending one day sight-seeing the beauty that is Paris...but I'll be sharing more of those in future posts. Technically our 'first' day consisted of travelling, delayed flights and overall tired-ness. We stayed at the Santa Fe hotel, which was one of the cheapest at the park. It worked perfectly for us though, only a 5/10 minute walk from the Disney Village. The bed was SO comfy and we had breakfast at our hotel almost every morning. Our flight was delayed (which didn't work well with my anxiety that day) but thankfully once we were in France finding the transfer bus and getting to the hotel, was SO easy. Once we'd checked in and dropped our bags off in our hotel room, I popped my ears on and I was practically dragging Tom our the door. As we'd arrived a little too late to see anything in the park we just grabbed some food from the Sports Bar instead - though FYI, neither of us suggest you go for food. It had a lovely atmosphere and kept Tom on track of football all week but the food wasn't something we loved! We then sat and watched the bonfire and firework display, we was lovely and felt me feeling all autumnal and cosy! (these fireworks were nothing compared to disney dreams however). Tuesday 3rd November, was our first full day. Breakfast was at 7:30am, so we quickly ate and made our way to the Disney Studios for extra magic hours. Obligatory photos of Walt & Mickey were on the agenda first and before we'd gotten too far in the park I spotted the smallest meet & greet queue for Chip & Dale and seeing how much fun they'd been meeting other people I had to join in. I LOVED them, they fought over me and tried to take me away with them, and of course to Toms concern I didn't say no! Queue times were short in the morning, so we popped on the Twilight Zone Tower of Terror & Aerosmith's Rock N Roller Coaster (which we went on at least 10 times throughout the week). We also did the studio tram tour, with the special effects and just some details about the majority of 'filming' effects, which the film/media student in me LOVED! It was a little short & a little slow but overall I throughly enjoyed it. We'd seen the majority of the Studios Park before 10am and knew we'd be going again for extra magic hours and saved the Toy story Play land and Ratatouille areas for another day. Excitedly around 11am I was raring to get to the main Disney Park and when we arrived we walked straight through to fantasyland (of course after more obligatory photos) - which is where my camera died, so I'll leave you in suspense talk more about the Disney Park in another post. We spent the majority of our afternoon in the Park, going on rides again & again...I'm sure we did Space Mountain almost 3 times that day. By 4pm we decided to pop back to the hotel room, freshened up, charged up all cameras and went to watch the Parade. Being the massive nerd I am, I'd read that getting a spot early was key for the Parade so we were sat down and waiting for 40 minutes. Granted it wasn't the perfect spot but I got up close and personal with a few characters which filled my heart with joy. Sadly due to the change in light, photos quality isn't at it's best. That was the one and only time we watched the Parade, I felt Tom would probably be bored if I made him watch it again. We then found our spot for the Disney dreams as I knew I had to watch them!! We found a good spot and waited again for another 40 minutes, Id left Tom to keep base on our seats while I treated us to hot chocolate & nutella crepes. I waited for 40 minutes for the drinks, missed the start of the show and lost my viewing spot...so if you noticed something in-between the firework photograph, yes, that's a lamppost. Disney Dreams was oh so magical and everything that I thought it would be. Everyone who watches the show will praise this show and they're right to. It's amazing what they've created. Once the show had ended we waited until around 9pm to eat. Which worked in our favour all week, we missed the busy period and were seated at all restaurants almost immediately. We decided on Planet Hollywood tonight, and we LOVED it! If you're ever going, try the burger and thank me later!! The night ended with us in bed before 11pm, alarm set and ready for our next day of adventure. I'm going to try and post the rest of my disneyland travels almost weekly, so keep an eye for disney posts every Friday for the next few weeks! Your pictures are so lovely - seems magical! Aw thank you! Oh so magical, I wish I was back there already!? It was sooo amazing!? Oh if he doesn't go, I'd happily go with you!! Tom had so much more fun than I think either of us thought he would have, so I'm sure your boyfriend who love it!! I've only ever flown once to DLP and never again. It was the worst experience ever. We're paying a bit more, but going Eurostar next year as it's just not worth getting myself ill about haha. I've stayed at Santa Fe before and can hands down say I'd rather stay there than the Disneyland Hotel - though the staff and hotel was lovely, the other guests made us feel out of place at the DLH. 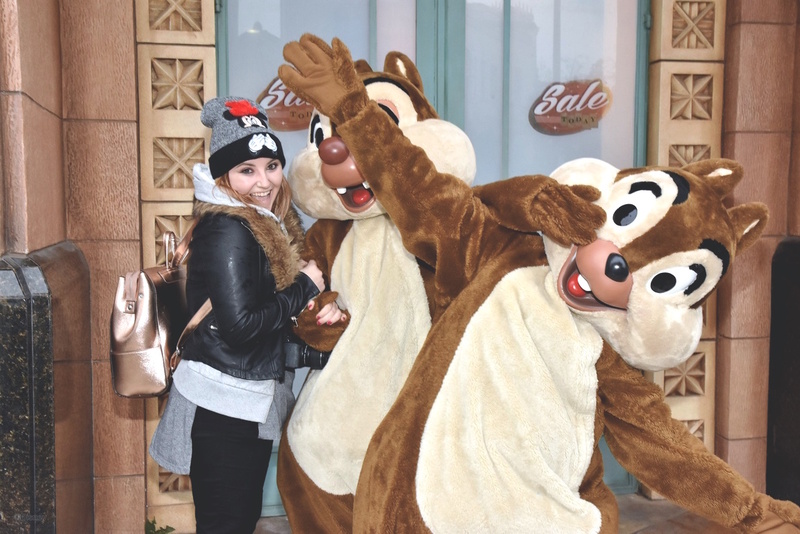 Fab photo with Chip and Dale, they are so much fun aren't they?! I don't think I've ever managed to get a photo of them together. Oh definitely, I'd probably feel so out of place at the Disneyland Hotel. I'd love to stay at other hotels too, they all just looked beautiful!? Sadly I never got to meet any other characters, queues were either too big or I didn't want to leave my boyfriend waiting for me for too long. Wish I'd have the patience and time to meet the princesses but I knew that wouldn't have happened this trip. 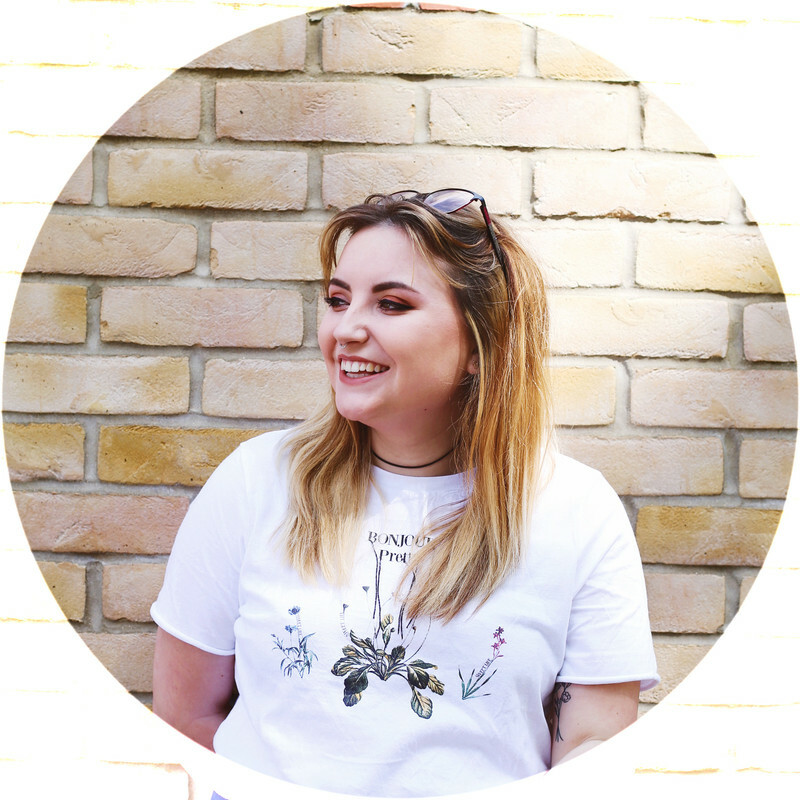 Your photos are absolutely gorgeous and you look like you've had an amazing time! I'm glad the events in Paris didn't ruin your holiday, and at least you have some wonderful memories to look back on :) What did you think of Santa Fe? I stayed there once and had a bit of a bad experience, but the hotel itself was lovely!